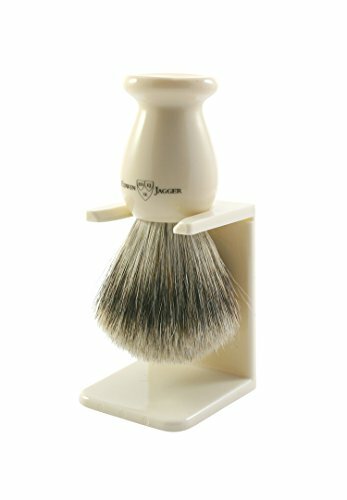 This smart imitation horn, genuine Edwin Jagger, best badger hair shaving brush is a best seller and is supplied with a matching stand. 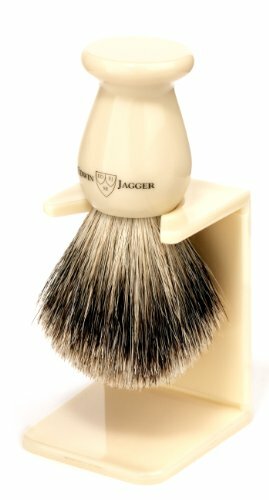 For many years Edwin Jagger has manufactured and supplied finest quality shaving brushes to discerning wet shavers all over the world. This large size shaving brush is filled with Best badger hair which is the most popular quality available. When combined with hot water and a quality shaving cream or soap, this brush will produce a rich, creamy lather for maximum shaving comfort, razor glide and a smooth shave. 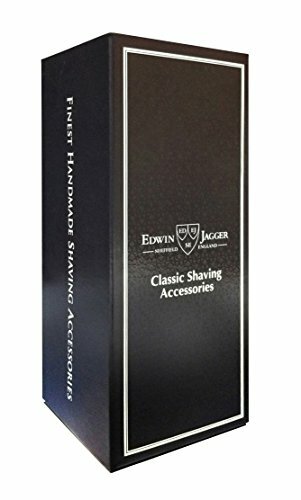 The Edwin Jagger logo is clearly branded on the brush as a mark of authenticity and the brush is delivered with a matching drip stand. 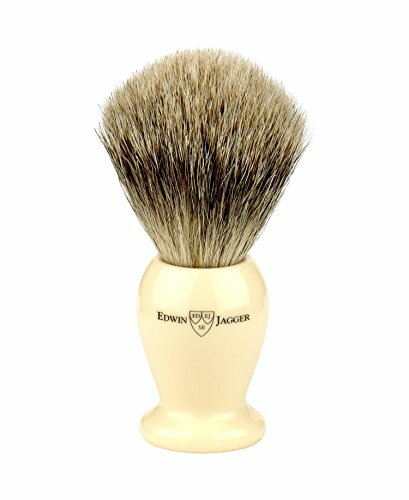 Remember to register your genuine shaving brush with Edwin Jagger to benefit from years of excellent, customer support and service. To prolong the life of the brush, we recommend after daily use, shaving brushes should be thoroughly rinsed in warm water and hung to dry in the stand.